The best and only way to travel is with a cocktail in one hand alongside a jaw dropping view. From Mumbai’s frantic city, to London with un-disrupted views of St Paul’s Cathedral, to 63 floors up from bustling Bangkok; we have curated a list of the World’s Top 10 Rooftop Bars that will definitely shake up your travel wish list. 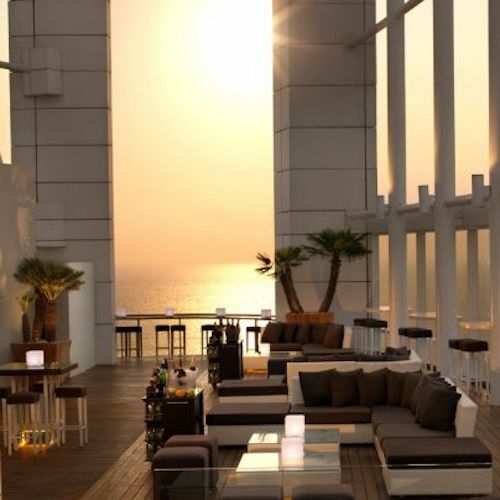 Sink into the sunset at Mumbai’s highest rooftop bar. AER inside of the Four Seasons Hotel will definitely be a change of atmosphere compared to the bustling streets below. Located in the city’s business and skyline district, once the sun sets, there’s no denying that you’ll be amazed by the bright lights. 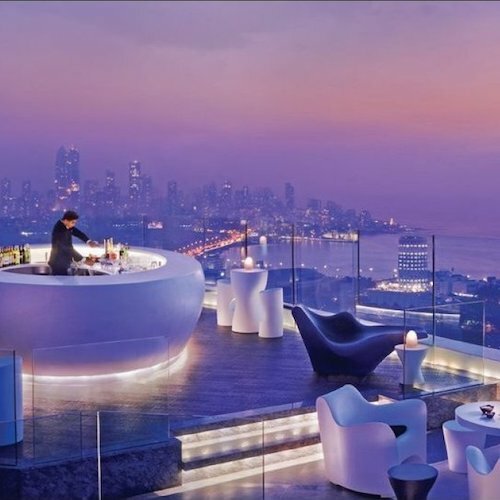 With casual to formal attire accepted, guests will be able to enjoy a range of delicious cocktails and of course a panoramic view of Mumbai city. 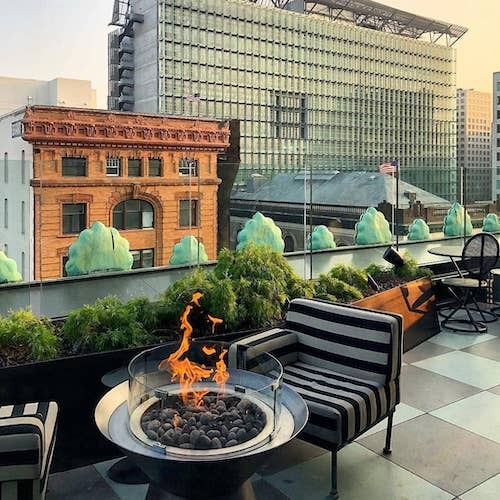 Conveniently located on the rooftop of one of San Fransisco’s most chic boutique hotels, Proper. Despite the common areas of the lower levels in the hotel decorated in a blush colour palette, Charmaine’s uses a minimalist approach – the natural view is the real beauty here. From summer through to winter Charmaine’s definitely lines up a crowd especially with their fire pits at each lounge area. Not to mention the cocktails – definitely encapsulating Proper’s characteristics. 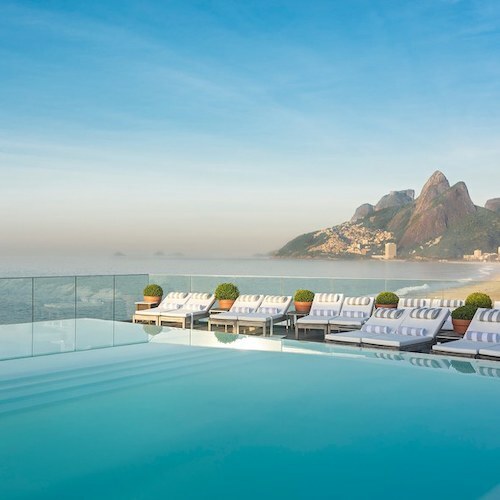 Picture this, you’re sunbathing with a cocktail in hand, to then diving into a rooftop infinity pool that overlooks Praia do Arpoador Beach and the breathtaking Cagarras Islands in Brazil. Hotel Fasano’s Rooftop Pool Lounge serves up exactly that. 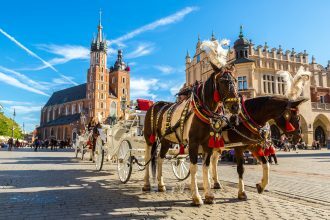 Guests can expect everything from freshly squeezed juice, to scrumptious weekly-changing cocktails and endless bottles of champagne for those with a luxurious taste. At Madison Rooftop Terrace, regardless of where you make yourself comfortable, you’re guaranteed the best view in house. 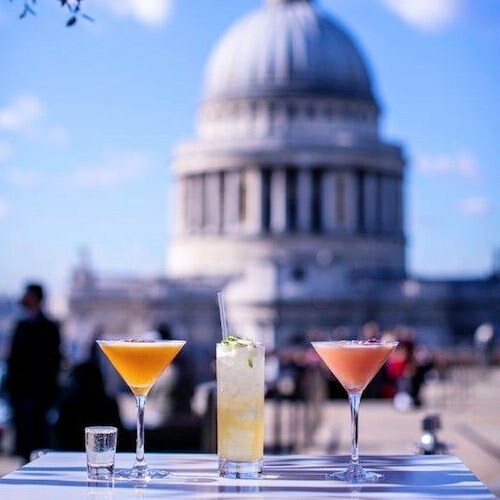 What seems like a touch away from the very nearby St Paul’s Cathedral, visitors to the rooftop bar terrace will be amazed with the spectacular view of the surrounding London city skylines. Providing a relaxing yet uplifting atmosphere, pair your visit with one of the cocktails from their extensive menu. From Vin Brule’s (Italian mulled wine) to Pornstar Martini’s. Although it’s technically not considered a rooftop bar, with views like this – who cares. Located just a mere 30-minute drive south of Kuta, Rock Bar is perched 14 metres up along the cliff side of Bali’s Badung Regency. There’s no doubt that visitors will be amazed by the exquisite scenery of the very near Indian Ocean. 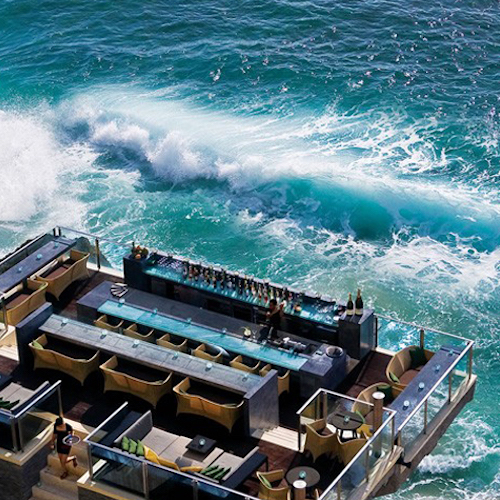 The dramatic Rock Bar is a must for any traveller in Bali. Pair your sunset visit with some of Rock Bar’s delicious cocktails and their renowned Popcorn Chicken! Sitting on the 26th floor of Beirut’s Four Seasons Hotel is The Roof bar. Just opposite of Zaitunay Bay, The Roof is the perfect location for drinks at sunset as the sun peaks through the enormous white pillars of the venue. On top of the cocktails, guests can expect relaxing tunes, a delectable menu and breathtaking views of the bustling Beirut skyline from one angle, and the Mediterranean Sea from another. Keep an eye out for their themed nights! 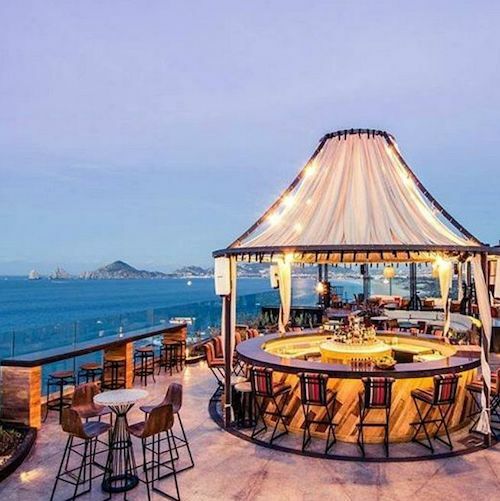 Sitting along the shoreline of Cabo San Lucas in Mexico, The Rooftop at The Cape, A Thompson Hotel is Cabo San Lucas’ only rooftop bar and lounge. Filled with private day beds, a sky garden and a mixologist serving intricate handcrafted cocktails – The Rooftop is an experience you’ll never forget. Along the open air terrace guests will be charmed by the mesmerising views of Arch at Land’s End and of course the bewitching sunset. 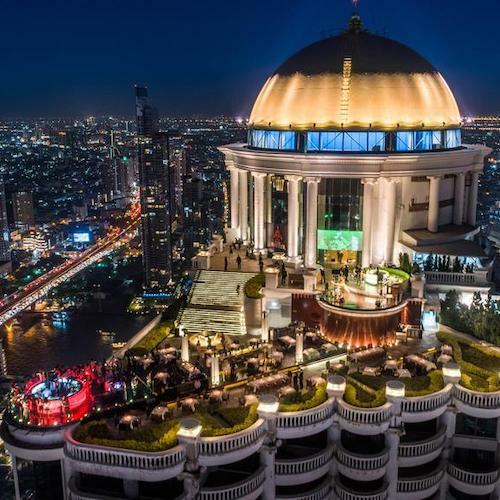 After travelling up to the 63rd floor of the Lebua Hotel and Resort in Bangkok’s heart, guests will be astonished by the city views at Sky Bar. 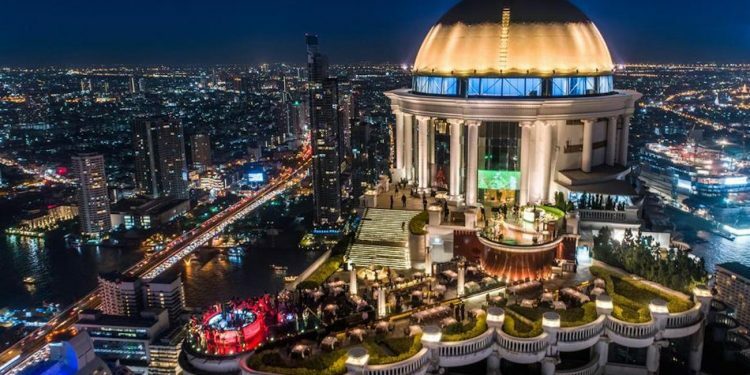 Renowned for being one of the highest rooftop bars in the world, suspended 820 feet in the air above Thailand’s capital is definitely an experience like no other. Despite the spectacular panoramic views of the bustling city, this is definitely not for anyone with acrophobia. 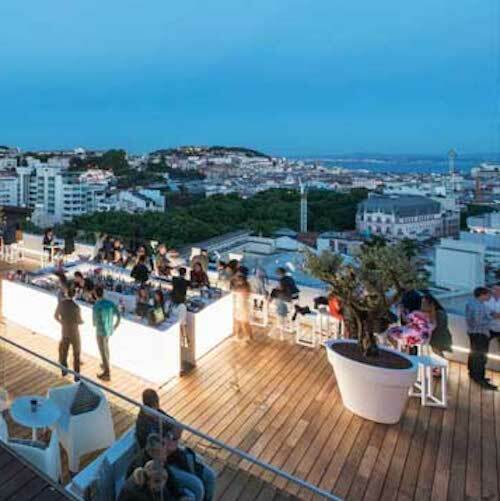 Just a short walk away from Lisbon’s Botanical Gardens, Sky Bar found on the ninth floor of the Tivoli Hotel is the best way to experience Lisbon from up above. With views of the Tagus River, Sky Bar is renowned for the extremely relaxing atmosphere, great music and of course the extensive list of delicious cocktails and drinks served. For seafood lovers, pair your visit to Sky Bar with a dining experience at Cervejaria Liberdade that’s also found within the five star hotel. 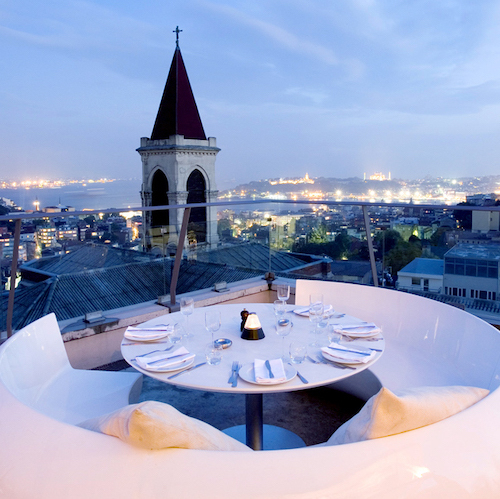 360 Istanbul is a revolutionary rooftop bar and dining experience to say the least. 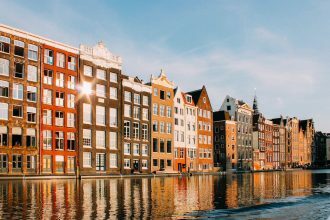 With undisrupted views of St Antoine’s Church that seems just an arms distance away, 360 specialises in 360-degree panoramic views of the beautiful city. Situated on top of a 19th century apartment building, 360 is more than just a rooftop bar. Experts in cuisine, design, entertainment and atmosphere, guests will realise that 360 Istanbul is more than just a rooftop bar in Turkey’s heart.